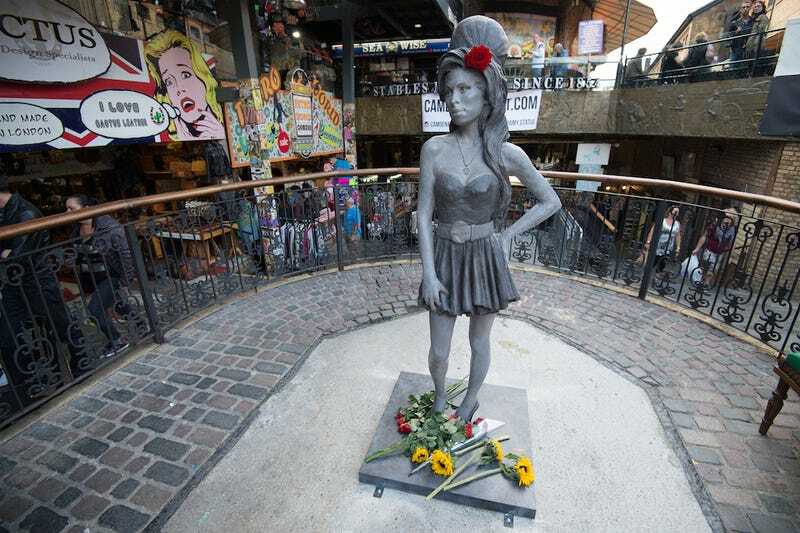 Today in Camden, north London, a crowd of fans witnessed the unveiling of a life-size bronze statue of soul songstress Amy Winehouse. The statue features her Star of David necklace, her signature beehive, and a live red rose in her hair. Winehouse died just over three years ago at age 27 due to alcohol poisoning. Today would have been her 31st birthday.